A shining star on Earth! He aha rā tēnei hanga? E kume nei i te tangata, e kati nei i te hā, e huti nei i te aho ki te ao tūroa, e kai wawe nei i te tangata e! 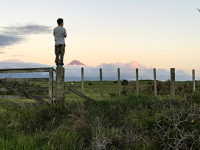 He aha tāna e mahue nei? He ohorere, he rangirua, he taumaha kei taku ngākau e! He hae kino, he ngau kino, he kai kino e kawa nei ki te waha! Hikohiko te uira, papā te whaititiri, he kanapu ki te rangi, ko koe rā tēnei kua riro e…! He kupu iti ēnei i pupū ake i roto i te whatu manawa i te rironga wawe o tētahi … arā, ko Dawson Tamatea. E kīia ana, ko Hongongoi te wā o te mātao, o te tahutahu ahi kia rongo te tangata i te mahana! 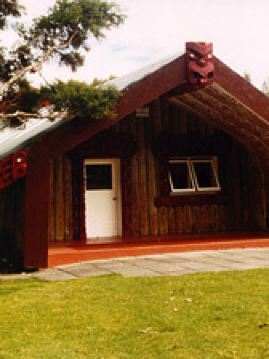 Heoi, i te 20 o Hongongoi ko te anu mātao tērā i pā ki tēnei tangata. Ko ia tēnā i kume i te mano tangata ki runga o Te Kupenga o te Mātauranga hei takotoranga whakamutunga mōna. Ko te whare tēnā i poipoi, i ako, nāna tonu i tautoko ki te hanga i ngā tau kia puta ia hei kaiako, hei kaihāpai, kaiārahi, hei kaituitui i te tangata i ngā tini kaupapa o te hapori o Te Papaioea. Ka noho ko ia hei tahutahu i te tini mahara, i te tini kōrero kei te ngākau o tēnā o tēnā i tae ā-tinana atu, i hono ā-ipurangi atu ki te tuku i ngā kupu poroporoākī ki a ia!! Nā reira e te rangatira, moe mai rā koe i te kōpū o Papatūānuku, takahia atu rā te ara whānui ki a Hine-nui-te-pō, whakangaro atu rā!! Rārangi maunga tū tonu, rārangi tangata ngaro noa!! As I contemplate a suitable and relevant topic for discussion, I am drawn to the passing of a very good friend, who was a well loved and respected figure within the Manawatū community, Dawson Tamatea. 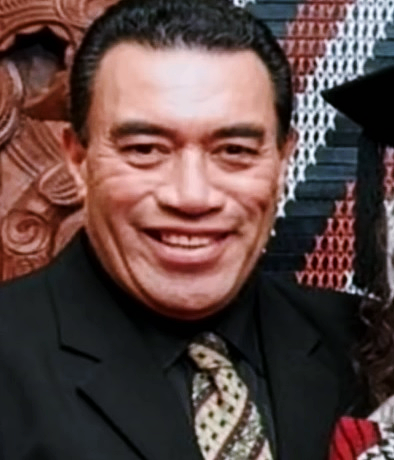 At the young age of 55, in the wee hours of Monday morning, 20th of July 2015, he was taken suddenly from his beautiful wife and three lovely tamariki. His passing reverberated across the nation, with multitudes ascending on Te Kupenga o Te Mātauranga Marae to pay their respects, to celebrate a life well lived, and to give Dawson one hell of a send off! His passing was so surreal and tumultuous for my whānau and me that, three months later, having also lost three grand uncles, my thoughts turn towards Dawson. Dawson, incidentally, was a previous pouako of mine, a job that gave him much joy and pride, and ensured a career that spanned 30 years. He was a special person with talents galore. Although Dawson was an amazing teacher, when he spoke, I often felt he was possibly working in the wrong profession. His ability to entertain and manage a crowd was world class. My heart breaks again at the thought that his infectious smile and great sense of humour will no longer grace this world. 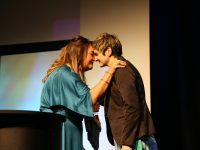 These feelings of sorrow vibrated through me in my final speech at Dawson’s poroporoaki, a tribute of words that bubbled and emerged from within, stirring my emotions, and guiding me to deliver a very emotional and uplifting farewell speech. Yet, his influence continues to surround me, especially as I ponder the attributes, skills, and values necessary to be a quality and effective facilitator at CORE-Education, I think of the influence we are expected to have on our kura. We are developing skills, growing understanding, and engaging staff across Aotearoa with the intention to lift the achievement levels of our tamariki. Dawson absolutely lifted the achievement levels of our tamariki, I and many other Māori are an example of his contribution. On Dawson’s final night, I humbly witnessed the exact outcome Dawson had passionately strived to achieve. 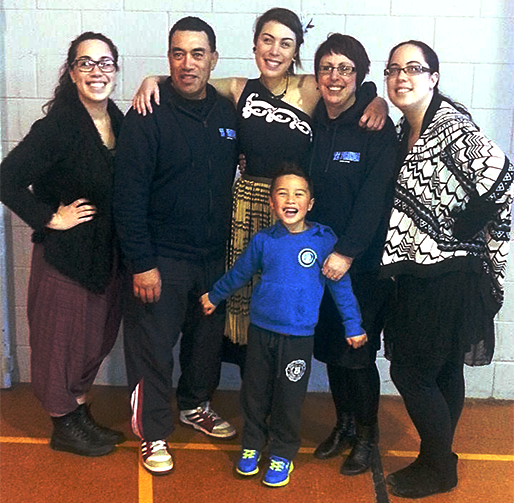 Supporting young Māori to, firstly, stand proud as Māori, and secondly, realise their potential so they may achieve their wildest dreams. I was fortunate enough to be a student in Dawson’s very first classroom at Monrad Intermediate School. He was our teacher, our softball coach, and our athletics coach. Many outstanding feats were achieved under his direction. He was a teacher that cared for his students, and in so doing, continues to influence my own teaching style. 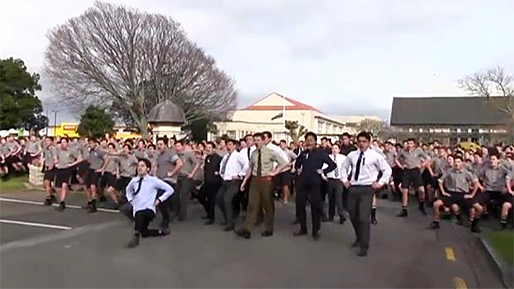 I will never forget the haka demonstrated by current and old boys of Palmerston North Boys High School as Dawson’s tūpāpaku arrived at the school for his service. They stood to express their anger and sorrow at this tragic, tragic loss. More importantly, this 1000 strong haka reflected Dawson’s influence on his community. During the service, his friends, colleagues, sports organisations, cultural groups, and national organisations, shared their wonderful memories. The immeasurable hurt and pain felt in the hearts of the bereaving family were echoed throughout. These moments reiterated for me, the amazing life experiences that people remember, hold fast to, and never forget. Reflecting on some of his teachings, his eye for detail, and efficiency was something of a highlight. There was little room for lacksadaisy latecomers. If you were not on the ball, you were left behind. In his system, everything had a place, and if you couldn’t keep up, then you missed out. Many of the eulogies mentioned this fact: “Do I have to do everything around here” was a well-known ‘Dawsism’. It was something that people new to his system would very quickly learn, and if they were slow to learn, they would most definitely hear about it. For Dawson, efficiency and time management were important components of professionalism. Yet Dawson’s most powerful and charming attributes were his humour accompanied with a beaming smile. From the time you saw him until you left his side, your time was filled with laughter through hilarious put downs, and witty remarks that would often have you in tears. I usually had to remove myself from his presence, as it was literally painful, especially on my ribs from all the laughter. Honest and direct, he showcased that fun and genuine entertainment resulted in positive group morale and great productivity. He understood when to break the tension or heaviness with light and uplifting laughter, and when to hold off, controlling his urge to turn the conversation into a comedy show. Finally I would like to focus on his loyalty, which, alongside his honesty, I have always admired and aspired to. A loyal and devoted husband, a loving and caring father, he was a family guy first and foremost. The groups and organisations he was passionately involved in could absolutely rely on his input, his organisation skills, his time, and his devotion. This was his minimum standard, anything less was unacceptable. My challenge is to learn from his example. I find it very difficult to balance my family life with my work life. I admit, I am one of those that get caught up in my work and, although unintentional, at times I have neglected my family responsibilities. I am striving to correct this and, as part of the CORE-Education whānau, I am enjoying flexible hours. I can support my tamariki more, which was difficult to do in the past. I can also block out quality family time, which was impossible in the past. So, as I conclude, I think of this amazing man, who had so much influence over his community. I can only try to emulate even a portion of what I see as Dawson’s legacy. My closing words are for Andrea Tamatea, who has lost her soul mate. My family and I express our deepest love and sympathies. To his three beautiful daughters, Sarah, Kimiora, and Hana-Grace, as Eljohn Fitzgerald coined, “live with all the good things he was in life, and be the best version of yourself that you can be”. 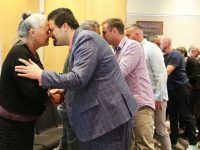 Kei te rangatira Dawson, noho mai nā koe i te rangi hei whetū ārahi, hei kanohi mō te hunga e mahue nei! I a koe e ora ana, he whetū mārama i te mata o te whenua, erangi i nāianei, ko koe hei whetū mārama i te pō, moe mai rā!!! From your description of the man and his life I feel that I would have liked him too and we would have got on well. I watched that haka on the day of his tangi and although I didn''t know him the power and aroha shown brought me to tears.